The story below is sourced from "How to Fix Poverty: Why Not Just Give People Money?" by Nurith Aizenman for NPR. A Kenyan village. Young guys in dusty polo shirts, new moms holding their babies, and grandmas in bright head wraps have all gathered in a clearing for one of the village meetings when something remarkable happens. Practically every person's cellphone starts dinging. Denis Otieno is a father of four in his late 30s. He holds up his phone to show his friends: "I got it!" he exults. Otieno is receiving text alerts from a charity called GiveDirectly. In 2016, GiveDirectly announced that it will give every adult in this impoverished village in Kenya an extra $22 each month for the next 12 years -- with no strings attached. The money is wired to bank accounts linked to each villager's phone. The alert is the signal that the latest payment has posted. Everyone starts cheering. Some of the younger women break into song. Today, practically all aid is given as "in-kind" donations - for example, food, an asset like a cow, job training, or schoolbooks. And this means that, in effect, it's the providers of aid (governments, donor organizations, even private individuals donating to a charity) who decide what the underprivileged need most. But what if you just gave people cash with no strings attached? And let them decide how best to use it? GiveDirectly aims to reshape international giving by making direct transfers to the poor. Founded by four grad students in economics, they have been advocating for and providing direct cash aid since 2009, and have given $65 million to people across Kenya, Rwanda, and Uganda. The GiveDirectly model first locates extremely poor communities in Kenya and Uganda using publicly available data. Then, they send field staff door-to-door to digitally collect data on poverty and enroll recipients. A set of independent checks is used to verify that recipients are eligible and did not pay bribes. Once enrolled, households receive roughly $1,000, or approximately one year's budget. 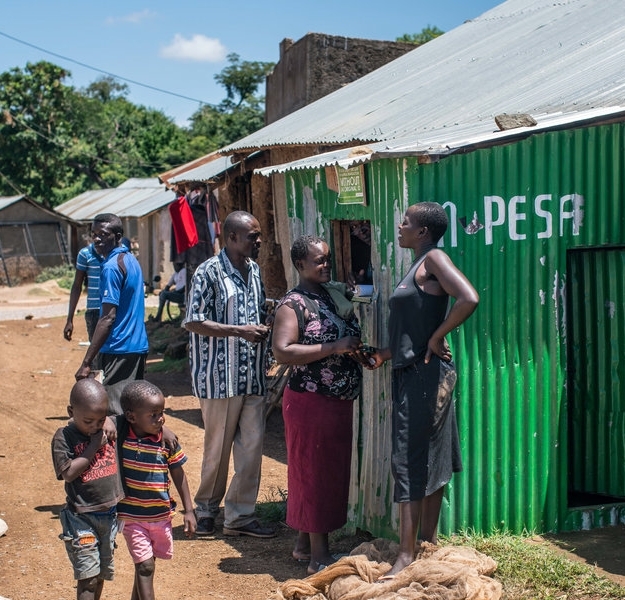 Using electronic payment systems, recipients typically receive a text alert and then collect cash from a mobile money agent in their village or nearest town. GiveDirectly then connects with each recipient to verify receipt of funds and address any issues. GiveDirectly believes they can change the lives of the extreme poor by giving them a guaranteed "basic income" that they can count on for years. They have chosen to set the payment at $22 because in Kenya, this is the food poverty line, or the amount of money it would take to afford a basic basket of food for one person. The combined $44 a month Otieno and his wife have been getting from GiveDirectly is boosting their income by as much as 50%. Before the payments started, there were many days each month when Otieno couldn't afford to buy his children breakfast or lunch. Sometimes there wasn't even dinner, apart from what Otieno calls "porridge" - water mixed with flour and sugar, "just to fill the stomach." With the extra money from GiveDirectly, Otieno can now guarantee his family solid food for both lunch and dinner. And for breakfast, they're getting milk from several goats -- the family used to own just two, but they have been able to purchase three more. They hope to breed them and then sell the offspring, and maybe even upgrade to a cow in the future. Longer term, Otieno has an even more ambitious plan: "I'm thinking of putting up a forest," he says. Specifically, a grove of eucalyptus and cypress trees, which are used as lumber in construction. Every month, Otieno has been setting aside $10 of the charity money to purchase saplings, and he and his family have been planting and tending them. They should be tall enough to sell in five years, and he plans to use the money to put all four of his children through high school. Each child has a different section of the grove to help him tend. "It's going to be like their bank account," he says, laughing. Our collective givetwig donation will sponsor a monthly payment for approximately 30 households. For more information on GiveDirectly, please check out their website. this week i'm gonna donate to GiveDirectly. In 2011, Claire Bloom learned from a school teacher in her Dover, NH community that many kids in the free school lunch program endure hunger every weekend between Friday school lunch and Monday school breakfast (approximately 68 hours). “That was the instant I said, ‘I have to do something about this. I can’t go through my life knowing that there is that kind of hunger in my town,’” states Bloom. Bloom was the first woman to be the second in command of the US Naval ship, USS Constitution, and she had founded and operated two companies after her Navy retirement in 1998. She knew her background had given her the ability to answer a social need. End 68 Hours of Hunger started with 19 kids at three schools. Bloom serves as Executive Director and has never taken a salary. Today, thanks to donations, sponsorships, and partnerships with grocery megachains, it has an annual budget of $1.1 million and feeds over 2,500 children in seven states and counting. “Towns find out about the program, and say, ‘I wonder if we have hungry children here?’ They investigate and say, ‘Oh my God, we do.’” says Bloom. End 68 Hours of Hunger works to confront the approximately 68 hours of hunger that some school children experience between the free lunch they receive at school on Friday afternoon and the free breakfast they receive at school on Monday morning. Established in New Hampshire in 2011, End 68 Hours of Hunger is a program that puts nourishing food in the hands of school children to carry them through the weekend. The organization is entirely volunteer based and 100% of funds go directly to feeding at-risk children. "Childhood hunger – or food insecurity – is a national problem. It occurs when children receive insufficient food on a regular basis and in many cases, miss meals entirely. After a while, these children also experience ‘fear of hunger’ that affects their behavior as much as physical hunger affects their bodies," explains Bloom. The impact of hunger on the child is enormous. Teachers report that on Friday afternoons, the children who are unlikely to have enough food at home become very edgy and are unable to concentrate. After a school week in a structured environment where they have at least two full meals each day, they will leave for the weekend and for 68 hours have little to eat. That insecurity can lead to behavioral disruptions. Often on Monday mornings, undernourished children return to school ill, and many spend the day in the nurse’s office. They are unable to focus and concentrate until they are adequately fed. 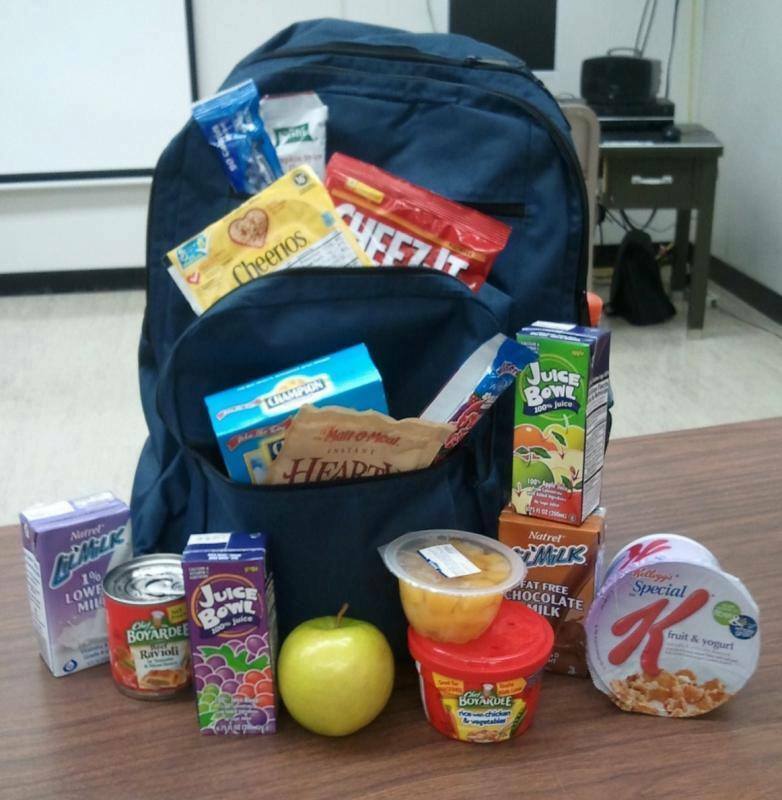 To combat this cycle, End 68 Hours of Hunger sends home with children every Friday a backpack of food that costs $10 and provides two breakfasts, two lunches, and three dinners, with some left over to share! All the behaviors of food-insecure children tend to disappear, and children arrive at school on Monday ready to learn. Teachers report that children are more responsible, and their performance improves. Documented increases in reading and math scores have been reported as well. End 68 Hours of Hunger is making a difference in the potential success of each child they feed. "There are 13 million hungry children in the U.S.," Bloom states. "If people want their communities to thrive, they have to ensure that their children thrive. It's as simple as that." Our collective givetwig donation will provide 75 children with backpacks of food to carry them through the 68 hours of weekend hunger. For more information on End 68 Hours of Hunger, please check out their website. this week i'm gonna donate to End 68 Hours of Hunger. Massachusetts Military Heroes Fund (MMHF) is proud to support families of fallen service members through their programs and community events. Every year at their signature community building event around Memorial Day, MMHF creates a Flag Garden Planting on Boston Common. With the help of hundreds of volunteers, they create a majestic garden of flags; each of the 37,000 flags they plant at the Soldiers and Sailors Monument represents every brave Massachusetts service member who gave his or her life defending our country since the Revolutionary War. In addition, on the Thursday before Memorial Day, families of the Massachusetts fallen read the names of their loved ones during the Remembering & Honoring Name Reading Ceremony. The Name Reading Ceremony and the completed garden is a breathtaking tribute to the true meaning of Memorial Day and is a powerful message of community support to the families of these fallen heroes -- their sacrifices will never be forgotten. The Basic Needs Program - offers limited emergency financial assistance for military families whose ability to provide for themselves has been compromised by the grief of losing a service member in a time of war. Covered expenses can include rental/mortgage payments, utility bills, or other basic necessities. The Family Enrichment Program - offers up to $1,000/year to eligible member households to be used for services and programs which can enrich the quality of life for bereaved military families. Examples of eligible costs include uninsured mental health counseling fees, life coaching services, career counseling fees, educational classes, tutoring, childcare expenses, camps, and vocational training. The Emergency Casualty Assistance Program - offers financial support to cover expenses related to the funeral of a family service member which are not covered by any military program or benefit. In addition to their programs, MMHF offers community support to the families of the fallen through both public and private events. The public events bring the community together in acts of volunteer service showcasing support for our military and their families. The private events are social gatherings designed to bring bereaved families together in an atmosphere of fun and mutual support. 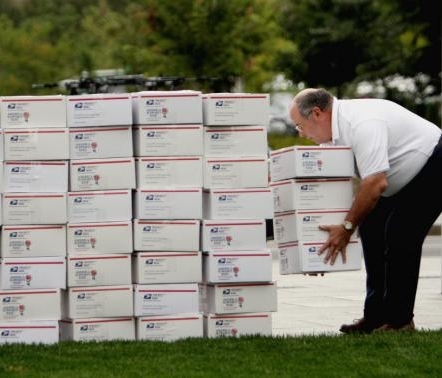 Each September on the anniversary of 9/11, MMHF coordinates a care package service project to support active duty service members and veterans in need, as well as a pledge drive to support local bereaved military families. This event is a wonderful opportunity for community members to give back and remember September 11th, now a National Day of Service and Remembrance. This past September, MMHF partnered with Project 351, a youth-driven service organization, to assemble over 500 care packages for military service members overseas and for veterans in need at home in Massachusetts. The care packages included food, clothing, and other necessities and memorabilia from home. “...(W)e have a new generation...of young people who weren’t alive when September 11th happened, but who still understand what it means to remember, honor, and serve,” states Steve Kerrigan, president of the MMHF. In addition to building the care packages, the event includes writing letters of support to troops, and a pledge drive for the families supported by MMHF. 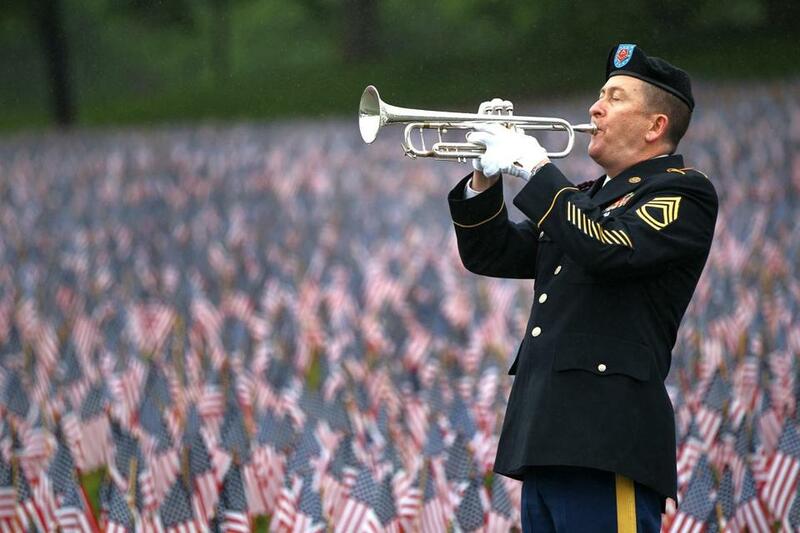 Veterans' Day is November 11th. givetwig is extremely grateful to all who have served our country! Our collective givetwig donation will sponsor approximately 20 care packages for active service members and veterans in need. For more information on Massachusetts Military Heroes Fund, please check out their website. this week i'm gonna donate to Massachusetts Military Heroes Fund.